Source: K. Charles & Co. But what if you shifted the spotlight of your business onto your color clients? How would your revenue change? How could you maximize color dollars? Recently, Alberto Rossell-Davis, director of hair color sales and education for Aveda, led a color webinar to share tips on elevating your hair color business to achieve personal and professional goals. More glamorous than ever, hair color is now seen on the runways and positioned as high fashion. Davis says to capitalize on that and use color to create prestige in the salon and for guests. Consumers understand home results are not as good, which creates loyalty in the salon to colorists. Davis’ most important piece of advice is to set a goal, and then understand the additional service dollars needed to achieve that goal. Once you’ve figured out the additional income needed to achieve your goal, then look at your average service price and how many weeks/days you work per year. From there, you can estimate the average service price per guest for additional hair color services and how many add-ons you need to sell per day. Depending on your goal, you may need anywhere from three to eight add-ons per color client. To maximize your dollars per guest, Davis says you need to use color as an opportunity. So a guest who starts with a quick $20 application after a hair cut may eventually end up booking a $100 highlight service every eight weeks. However, to steadily grow your color income, you must first believe in the value of consistent effort. Progress comes with the consistent introduction of color to ALL of your guests. If the average color service is about $50, and you’re working 250 days per year, one extra guest is an additional $12,500 in services. When all these guests start to come back for touch ups, there’s even more opportunity to generate another impulse buy for hair color with retail products. 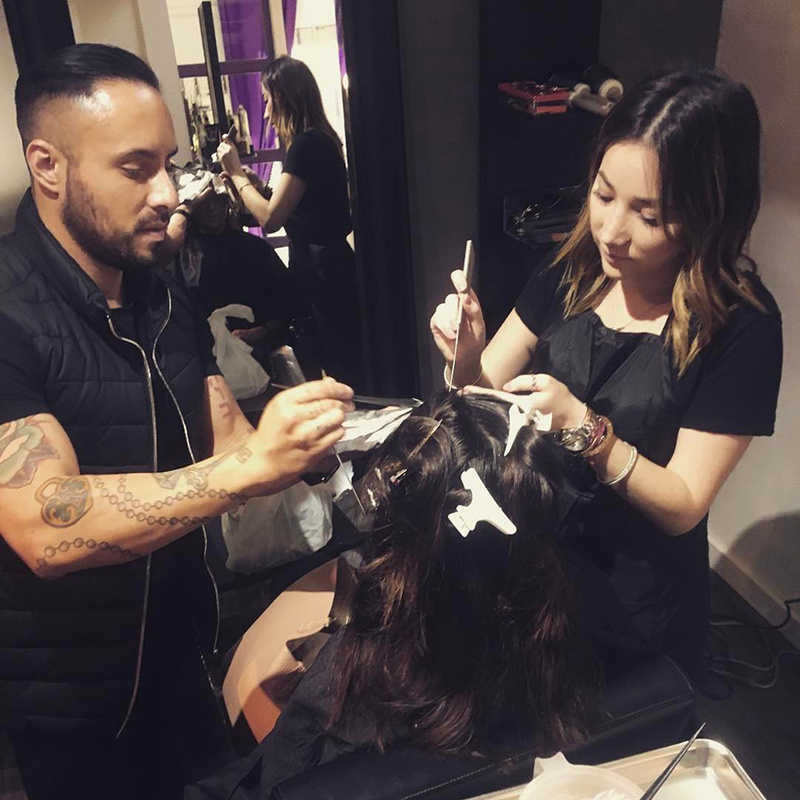 At K. Charles & Co. salons in the San Antonio area, the team focused on additional color services and add-ons from the end of February through the end of May with profitable results. In one location, revenue was up 26.5 percent; in another, 7.65 percent. Obssesed with this new color melting BRUSH!! No smudging of color needed, didn't use my fingers either. It was all done with a new color brush I demo'd with this past weekend at Aveda. That seamless blend though!! #colormelt #aveda #neill #avedaeducator @alimyanez look!!! When Davis surveyed guests on the reasons they color their hair, he found that just like anything else, hair color is an emotional buy. And some guests are just looking for a change. Colorists should be aware that these guests may not be articulate about exactly what they want, so the consultation is important. Plan ahead. You should have a game plan for your week, and be coming in 15 minutes before every shift. “Have a copy of your schedule, know what you are going to suggest to accurately plan out timing,” he says.